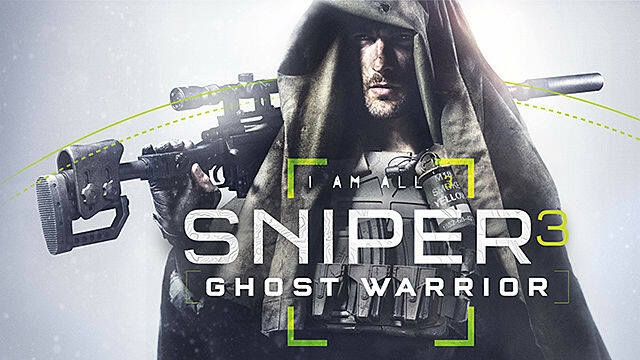 City Interactive’s Sniper: Ghost Warrior series began its journey in 2010, when the first installment was released to some mediocre reviews, but the sales estimated at over 2 million copies. 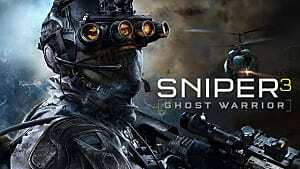 In 2013 CI Games delivered Sniper: Ghost Warrior 2, which wasn’t nearly as successful. Now, on April 4, 2017 we will have the chance to play the third installment in the series with the highest level of production thus far. 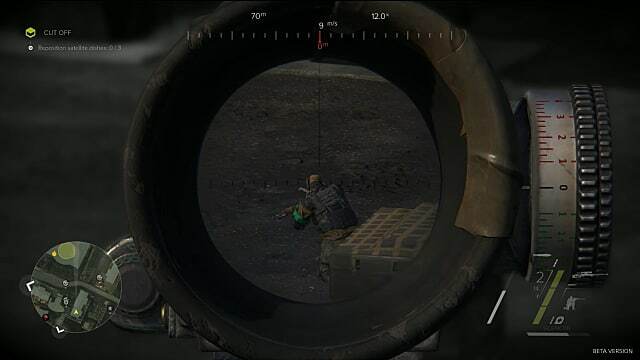 Sniper: Ghost Warrior 3 offers a realistic approach to the stealthy first-person shooter genre. The game introduces an open world and a non-linear approach to gameplay. The beta test of the game gives an opportunity to play through two of the available missions. Let’s see if these ambitious goals have been executed in an orderly manner. 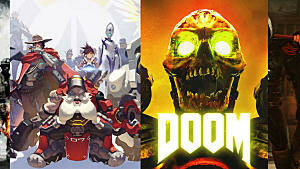 The overall gamma of the game is dark and dim, which gives the impression that the developers wanted to hide the underwhelming quality of the textures and graphics in general. It's a little surprising, since the game is based on the famed CryEngine. For the most part it looks alright -- certainly nothing to complain about -- but when you compare it to other open-world games like Far Cry or Battlefield, it's really not that impressive. The level of difficulty is pretty balanced -- it’s not too easy, but the missions aren’t impossible to accomplish either. If you’re not careful, you can die easily from just one precise shot, or lose a lot of health points from a mere fall to the ground. This mechanic forces you to be mindful of each step, which is awesome. 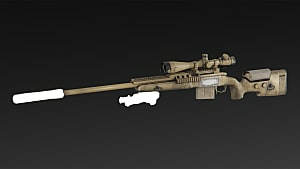 The design of the sniper rifles is really cool. You can see that every weapon has a history of its own, indicated by scrapes, scratches, personal markings, etc. It really gives you the sense that your character is a weathered veteran and not just some noob looking for trouble. 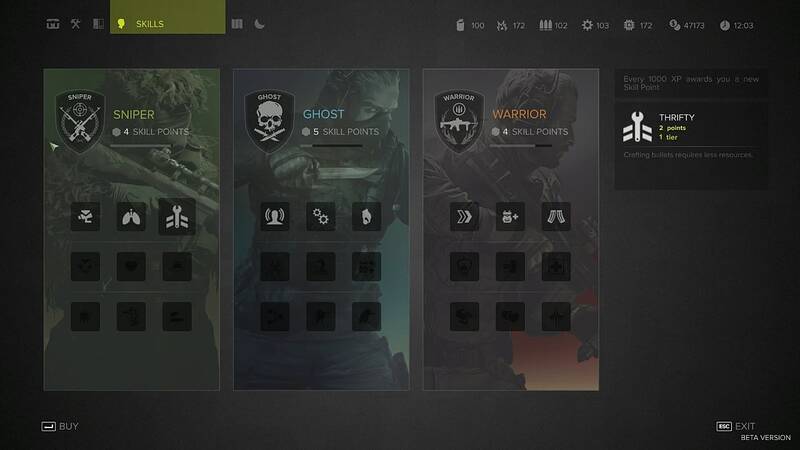 All three types of gameplay are reflected in the skills tree that supports each of these three playstyles: Sniper, Ghost, and Warrior. You earn experience points after each accomplished mission, and then you can upgrade skills that you think fit your personal approach to the gameplay the best. Before every mission, your character needs to equip himself with all the required weapons and gadgetry at the Safe House. That is why the Weapon Cache menu is where you will spend most of your time selecting the right type of primary and secondary weapons, sidearms, knives, and armor. 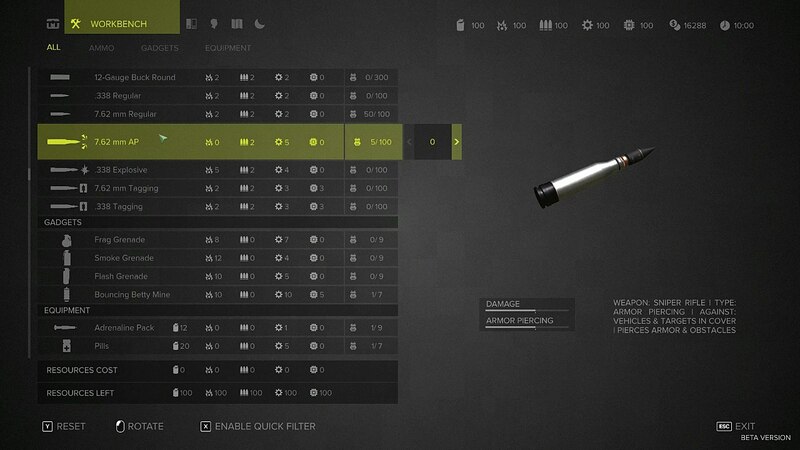 Every piece of equipment is customizable. For example, you can choose a sniper rifle that provides you with better stability, but may be less impressive in the noise reduction department. In this case, you can purchase an additional silencer, and the problem is solved. Another important feature is the choice of bullets -- there are a few types in different categories, so it may get a bit confusing at first. But in time you gain more experience using different types of ammo, and you will know exactly what types of bullets you need for each upcoming mission. You can also craft ammo at the Workbench, if needed. 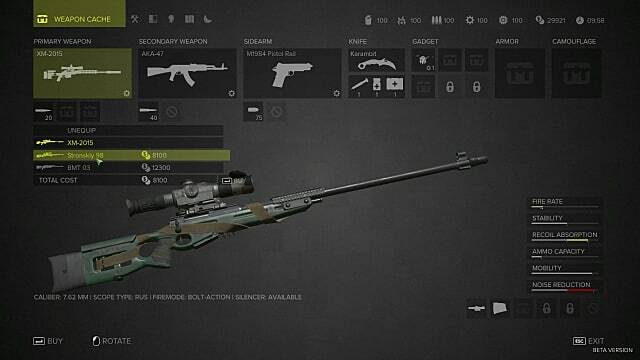 Although sniper rifle is considered your primary weapon, it doesn’t mean that you’ll be using it at every possible opportunity. On the contrary, the rifles are used only when you’ve located a target and there is a clear view for elimination. Also, sniper rifles have very limited ammo load, so every shot matters. The rest of the job can be done with your secondary weapons, such as machine-guns and pistols. If you’ve attracted attention and you have to mow down everyone on your way out of the mission zone, then weapons like the AK-47 or a shotgun will do just fine. 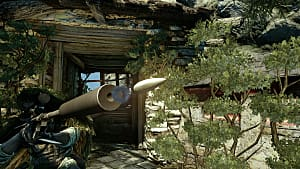 Sniper: Ghost Warrior 3 is marketed as an ultra-realistic sniper game, but it has a few things that appear to be utterly meaningless. For example, you can’t just equip a silencer and use it throughout the missions, because it breaks right after you make just a few shots. So you need to go back to your safe house and buy another one. The animation of the character movements is terribly wooden, and in a game like this you would expect it to be more fluid and subtle. Every little bit of noise or a moving shadow can get you uncovered, so it’s really strange that this aspect of the game wasn’t polished to its best possible degree. Overall impression of the game is good, but it is full of little things that just get in the way of your enjoyment. The NPCs at times behave really strangely. You could be sitting on the edge of the road with your sniper rifle aiming at the base of the enemy, and a very Russian-looking car will pass by as if nothing wrong happened. Whatever, it’s just a sniper sitting in the bushes, nothing unusual. At times the number of technical features on your rifle can really halt the progression of your mission, as you need to tweak and turn every little knob to adjust the shot perfectly. It is understandable that this is all very realistic, but maybe a game should be a bit more dynamic in this particular area. And the last thing -- this is a stealth game, right? Then, why can’t we hide all the dead bodies? You know, grabbing them and moving to a place where nobody could find them. You can search them all, you can loot them all, but you can’t grab and move them all -- you can only move bodies that are inside of buildings, while those that are outside can’t be moved. Here's hoping it's just a bug that will be fixed. All that doesn’t mean that Ghost Warrior 3 lacks good things -- actually, there are plenty of those. One of the best things in the game is the drone, which can be sent out to observe the area. But you should be careful using it, since the enemy snipers can easily spot it in the air. 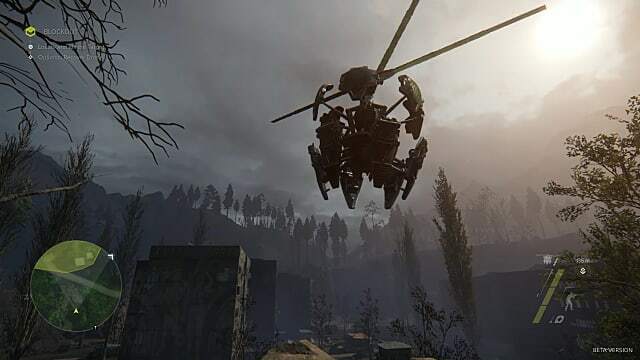 The drone will fly over any area and give you a full report on the positions of the enemies, and even show you the best sniping positions for your mission. In this regard it is extremely useful and it takes just a couple of minutes of your time before each mission. 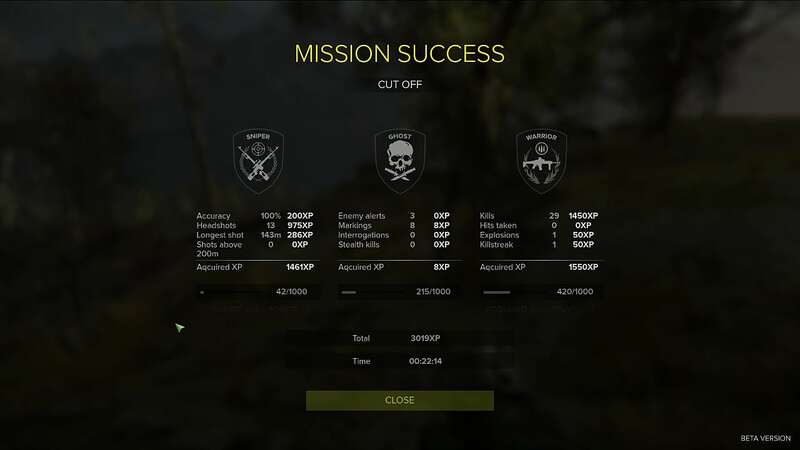 If you’re doing everything right, you can finish your missions really quickly. If you’re stealthy enough and you can locate the perfect position for the target elimination, the whole thing can take you no more than ten minutes. But of course, you can always stretch it out by killing every single thug in the area, if that’s your thing. Overall the game is good, but it is full of little things that just get in the way of your enjoyment. The limitations in terms of ammo and health points make the game more realistic, but again, other things completely ruin the atmosphere -- especially when the enemy truck passes by, but nobody seems to notice you. This leads us to the question of the enemy AI, which is lackluster to say the least. In a game like this enemies should be really smart, and their next moves should be unpredictable. However, that is not the case in Sniper: Ghost Warrior 3. The two missions available in the beta didn't make me want to see more. 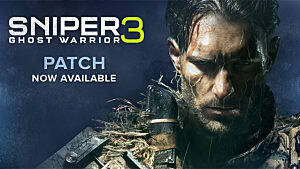 It actually seems that there won’t be too much of a variety of missions in Ghost Warrior 3, so the game must offer at least a decent co-op or something like that to be viable for a purchase. Note: The beta code for this game was provided by the publisher. Bugs, Patches, and Missing Content: Will Sniper Ghost Warrior 3 Ever Be Complete?